We proudly use the word California in our name because our state has led the country in many environmental arenas including initiating a viable Electronics Recycling industry. Unfortunately, the recycling industry has developed a dirty little secret. The majority of companies who collect and process electronic waste are disposing of it in a manner that is, at a minimum, inconsistent with the concept of “recycling.” Much of the material is shipped off to foreign markets where they harvest the valuable metals in a manner that is bad for their workers, bad for the environment and altogether irresponsible. 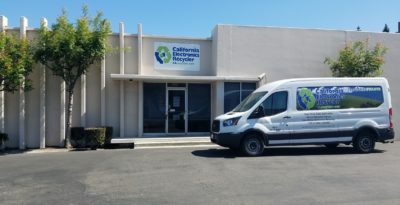 At California Electronics Recycler we consistently strive to use only R2-Certified downstream recyclers, which follow voluntary Recycling Standards that maximize the reuse of equipment and safe disposition of the scrap. We may not be able to impact our entire state, but in our local area we are going to make a difference. We believe that the dirty practices of many of our competitors can be fixed by simply asking the right questions and providing you with a viable alternative. We hope this brings us some business, and that the pressure of competition will also compel these other companies to clean up their act. Either way, the State of California and our environment come out winners.